Genus Nassarius contains many subgenera, such as Zeuxis, Telasco, Niotha, Varicinassa, Plicarcularia, Nassarius s. str. and Reticunassa. 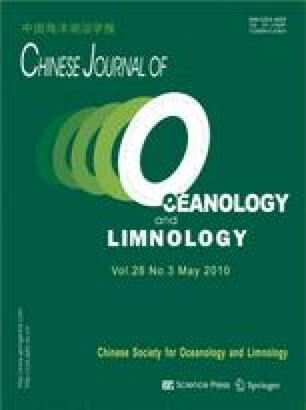 On the basis of morphological characteristics of the shell and radula and sequences of mitochondrial cytochrome oxidase subunit I (COI) and 16S rRNA genes, Nassarius specimens collected from the South China Sea were identified and phylogenetically analyzed. Although Nassarius sp. and Nassarius (Varicinassa) variciferus were morphologically different in their shells, few variations were found among their radular teeth and sequences of mtCOI and mt16S RNA genes. Therefore, Nassarius sp. should be classified as N. (Varicinassa) variciferus. Nassarius (Zeuxis) sp. has only a subtle difference from Nassarius (Zeuxis) algidus on the shell, but it shows obvious differences in radular teeth and DNA sequence, indicating that they are two distinct species. Sequence divergence of mtCOI and mt16S RNA genes within Nassarius species was much lower than that between species, suggesting that these two genes are suitable for Nassarius species identification. Phylogenetic analysis (neighbor-joining and maximum parsimony) based on mtCOI and mt16S rRNA genes revealed the presence of two groups in genus Nassarius and a closest relationship between subgenera Zeuxis and Telasco. Species of subgenus Plicarcularia did not form a single clade. The molecular phylogeny was not congruent with the previous morphological phylogeny. The subgeneric divisions of genus Nassarius appear to be uncertain and unreliable.